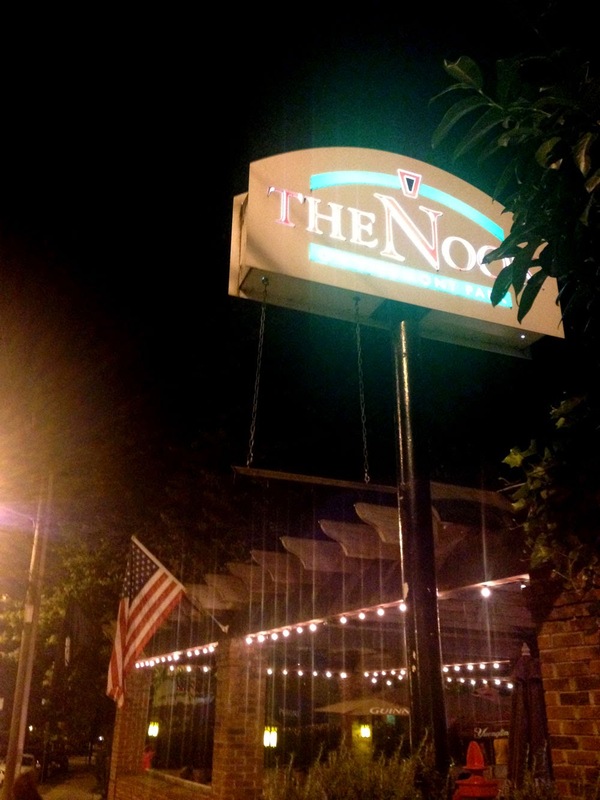 Independent Restaurant Review: The Nook on Piedmont Park - Midtown - Final Stop of Eat the Peachtree Restaurant Crawl! 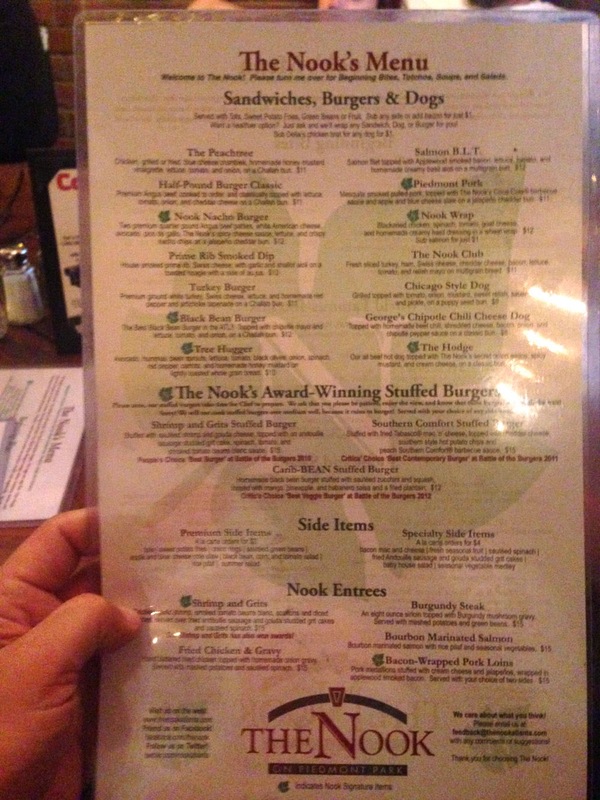 The Nook on Piedmont Park - Midtown - Final Stop of Eat the Peachtree Restaurant Crawl! 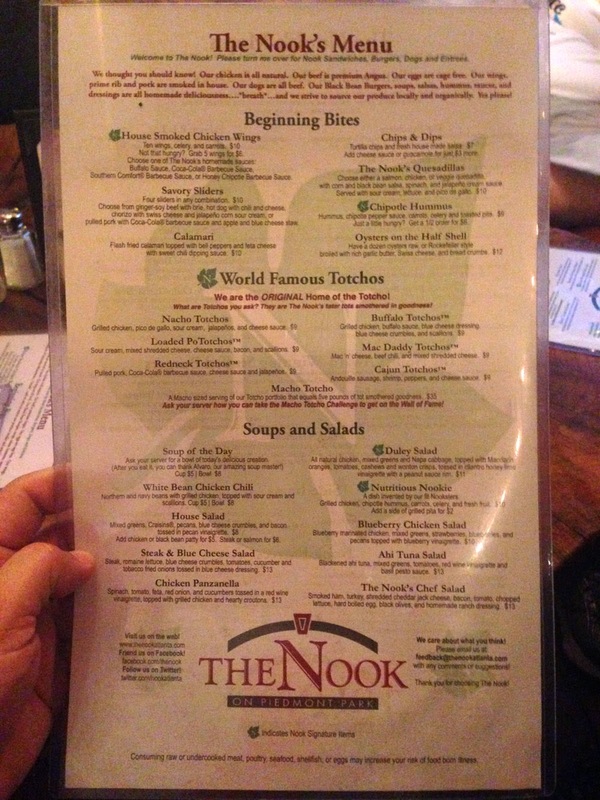 The Nook on Piedmont Park is the ninth of nine and final stop as part of "Eat the Peachtree 2014" - I called it the "Peachtree Road Crawl" in my Twitter and Facebook posts as the event was going on. Locate all the posts along with an intro if you search my blog with ETP2014. 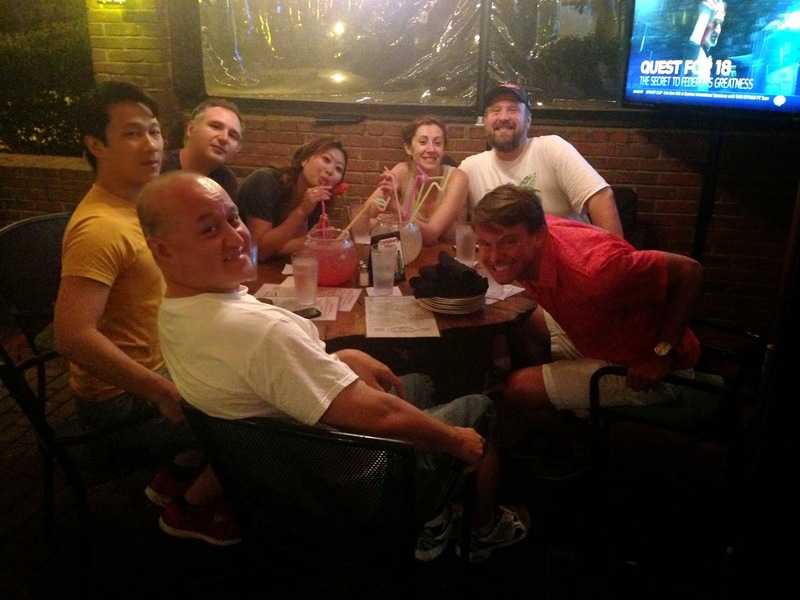 We walked from restaurant to restaurant in search of the best flavors and drinking venues in Atlanta, while enjoying the same sights as you would while running the Peachtree Road Race. Continuing from Tap on Peachtree, we walked down 14th St towards Piedmont Park and ended up at the bottom of the hill on Piedmont Ave - the Nook on Piedmont Park is located at 1144 Piedmont Ave NE - the venue is billed as a neighborhood tavern but the food is much more unusual in origin and presentation. 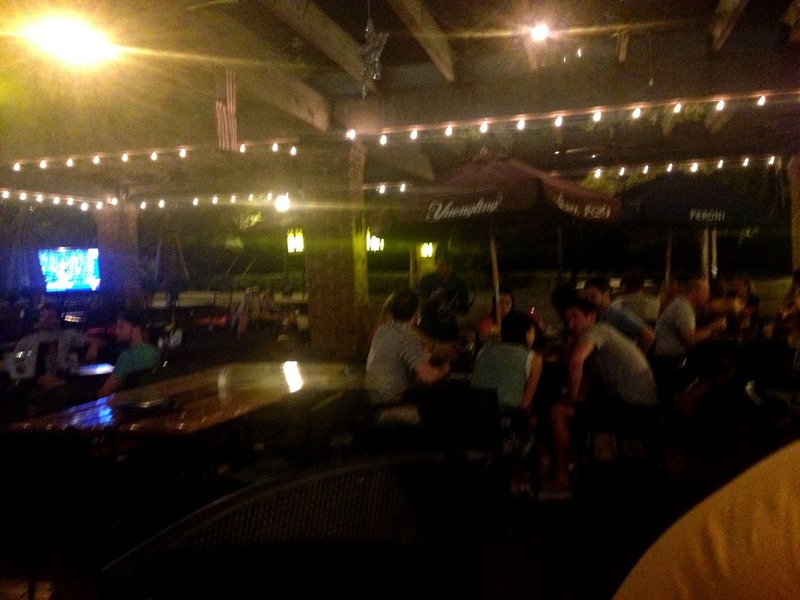 The Nook has most of the trappings of a sports bar with multiple flat panel TVs, a large covered patio, a large bar including 13 beers on tap, and food offerings that are mostly organic and locally grown. 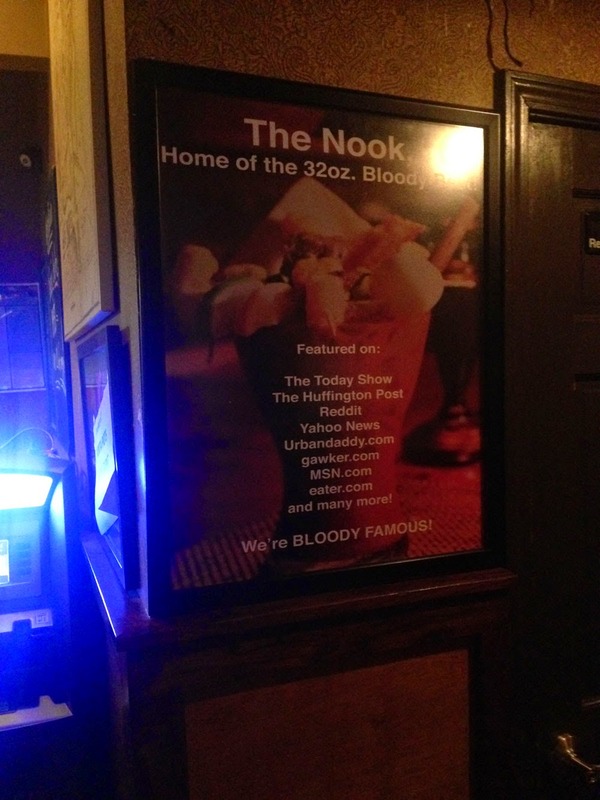 We arrived at the Nook about 10:00 PM and by this time I believe we were about done - surprisingly, none of the original seven participants had fallen to the wayside, as had been predicted. 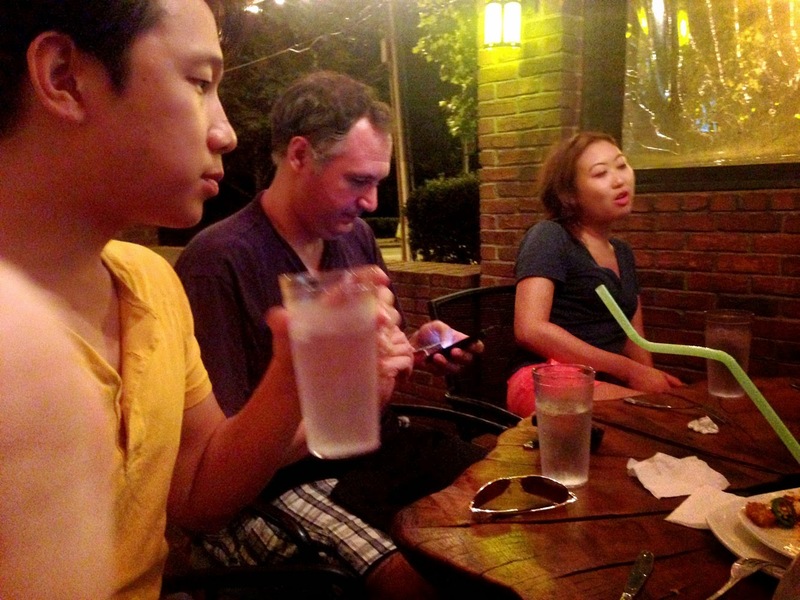 In fact, everyone's spirits were quite good and the atmosphere was still one of fun and camaraderie. 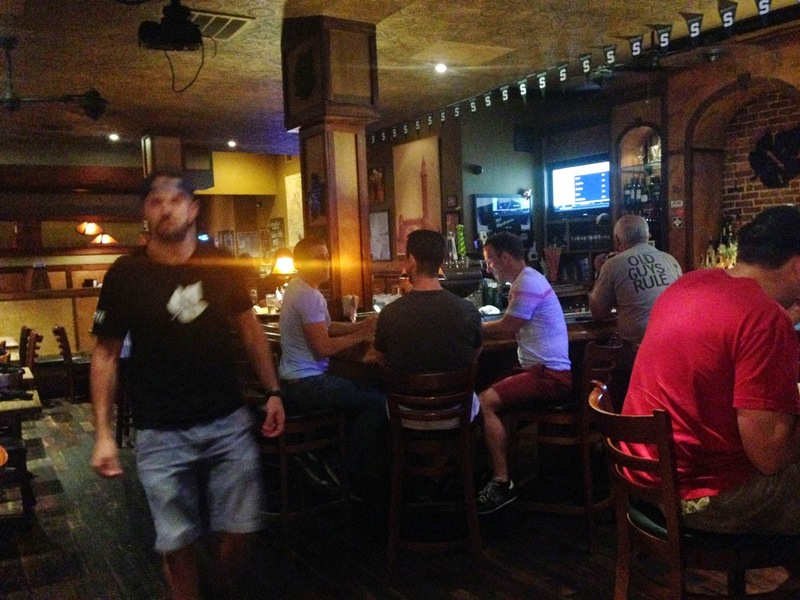 The interior was very tavern-ish and reminded me of some of those bars/pubs you see in Daytona Beach - flashback city! 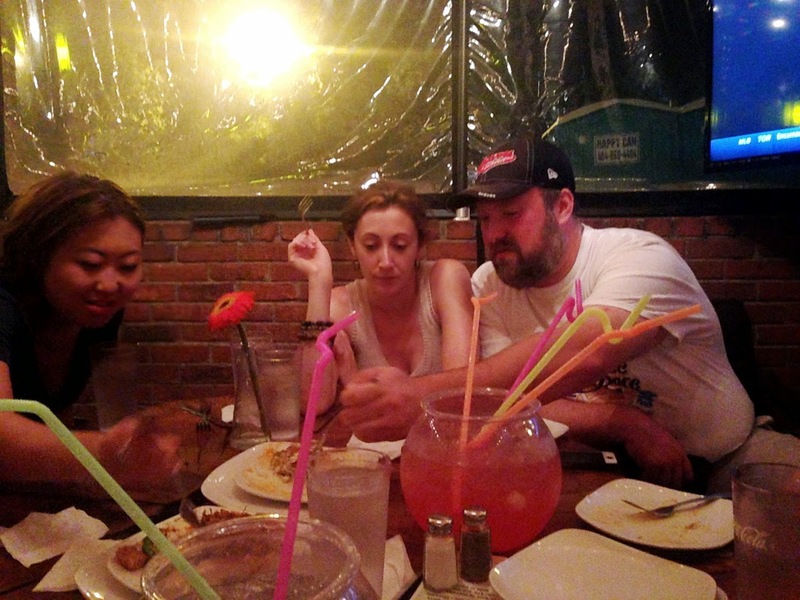 We set up shop on the patio in front of a huge TV and ordered drinks and snacks including two fishbowls and two different tater-tots. 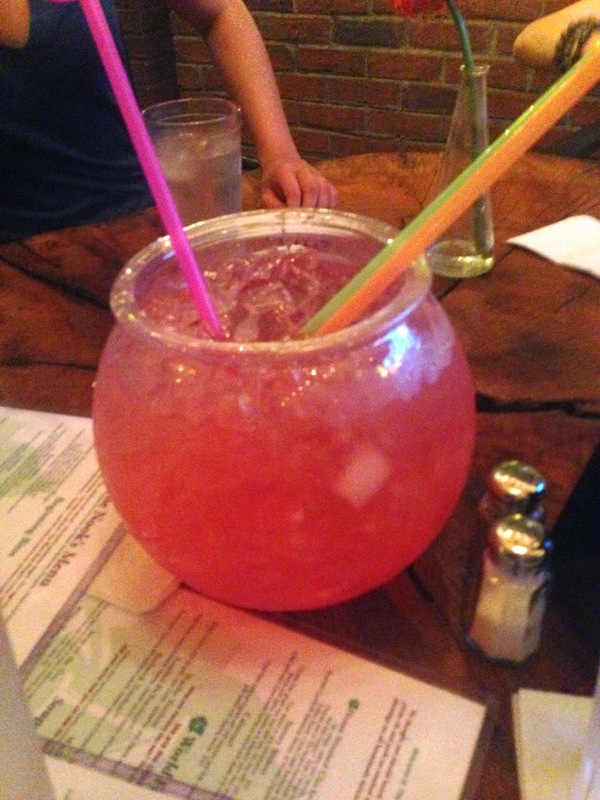 The Fishbowl is a whole gallon of mixed drink served in a spherical, clear "fishbowl" plastic bucket, served with multiple "jumbo" straws so a group of 4-6 can all share in the same drink. 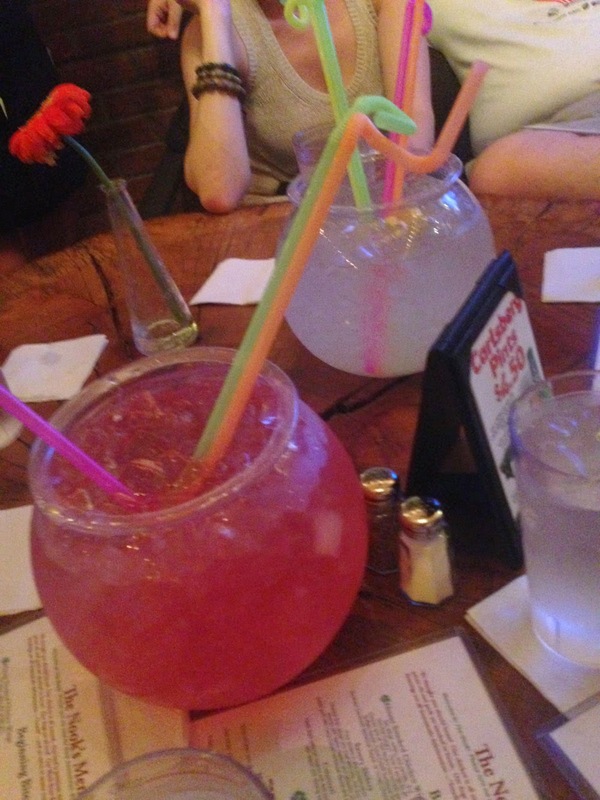 We ordered two different, one was tart and citrusy and the other was more like a vodka/cranberry. 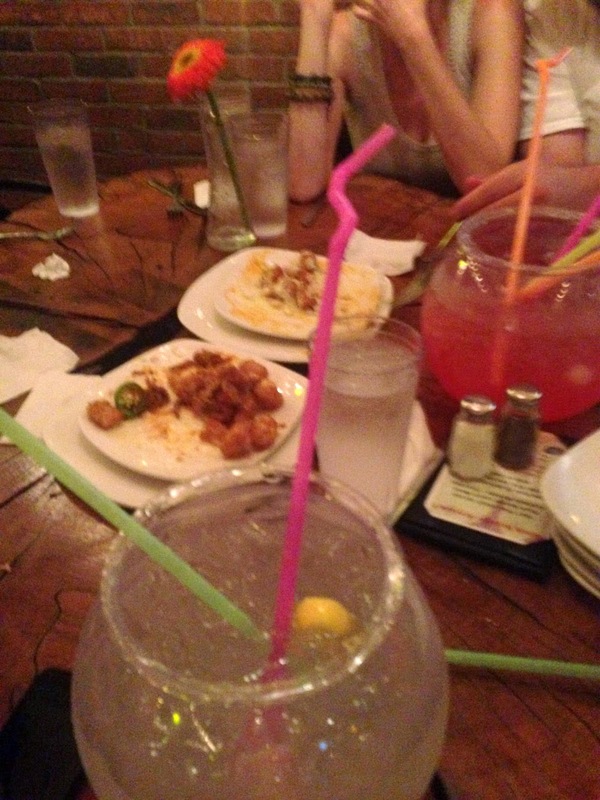 These were way over the top and really, it was much more alcohol than what we should have attempted. 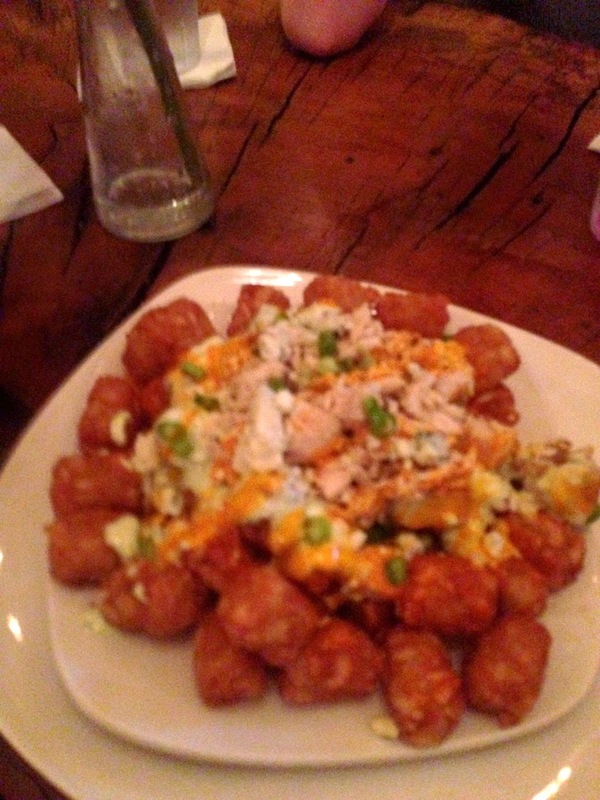 We also ordered two different tater-tot dishes that the Nook calle "Totchos" - the Nacho Totchos and the Buffalo Chicken Totchos. 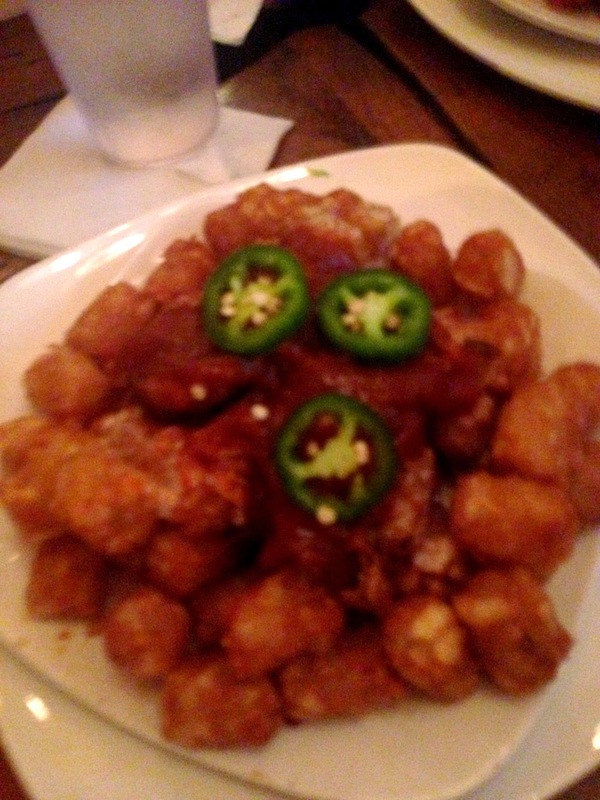 The food was quite good and the service fantastic. 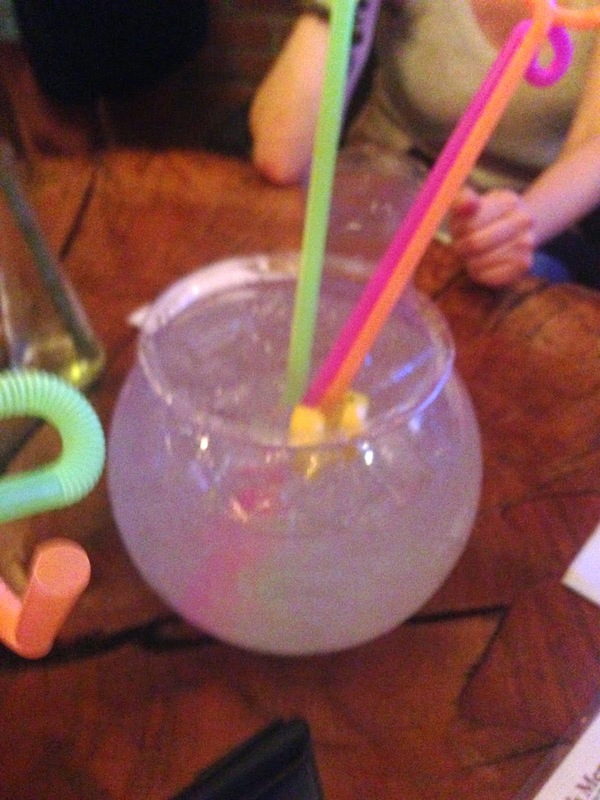 We sat for a bit and I tried like hell to finish one of those fishbowls (the tart one) - I managed to drink about half before being too full to continue. 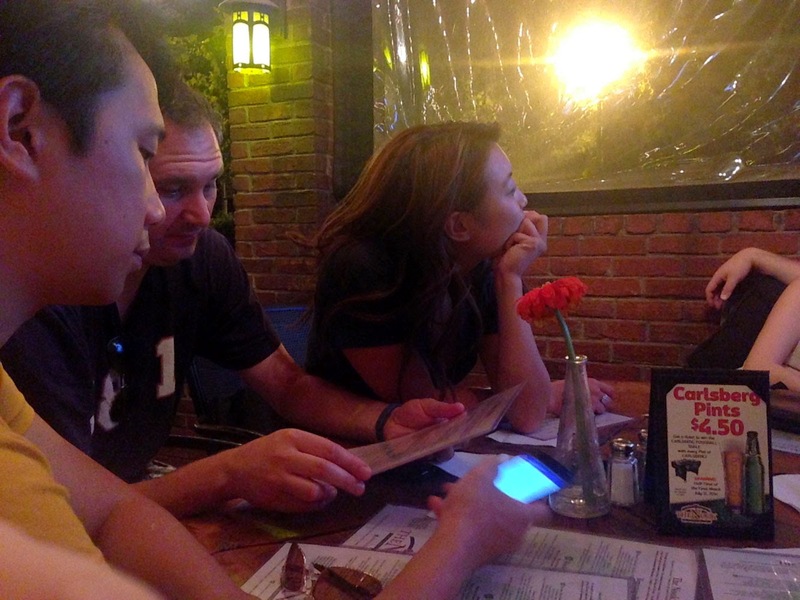 In all, loved the place, the atmosphere and service. I hope to return and try that gigantic Bloody Mary and a burger. By 11:00 PM or so, I was feeling like I needed to get home. 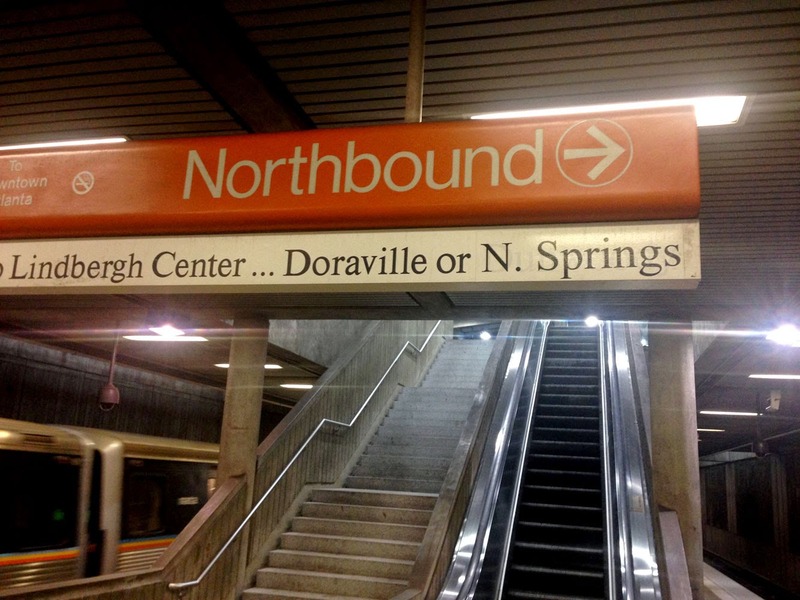 Kevin and I started walking back to the Arts Center MARTA station to catch the train back up to Lenox and Chamblee Stations, respectively. 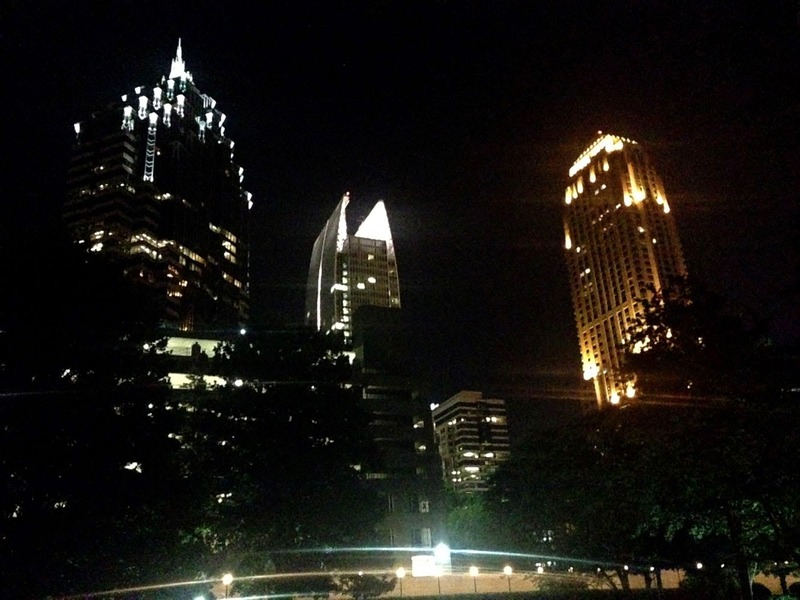 The midtown skyline is quite beautiful in the evening, even from the sidewalks. After the walk and waiting for the train, I managed to get in my truck by 12:00 or so. By then much of the buzz had worn off (good thing, too as I would have gotten a cab otherwise). 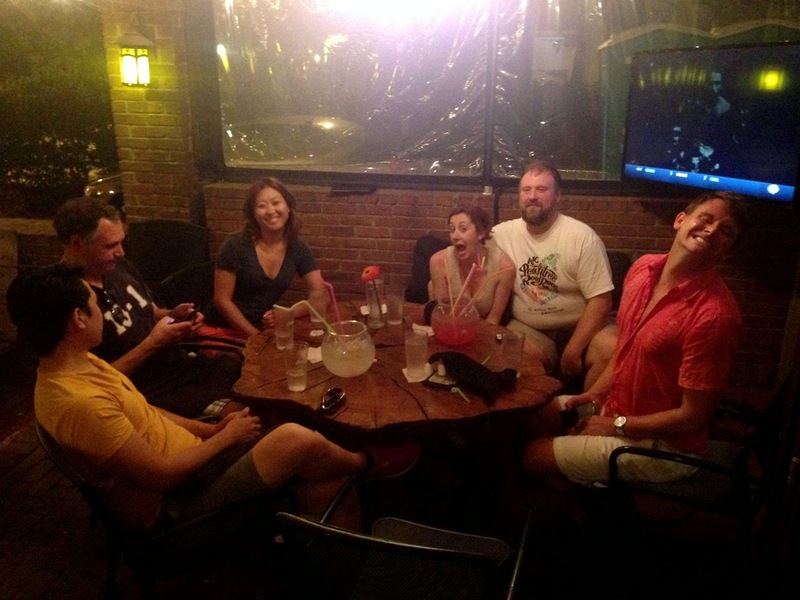 I think we all agreed that the Eat the Peachtree 2014 was a great success, and that we had an inordinate amount of fun. Can't wait to do it again in 2015!